The German Shepherd is a dog recognized for not being afraid of anything and being very loyal. This breed requires a lot of daily exercise, although as the dog ages, it is normal to reduce their physical activity. Because of this, the food needs of the German Shepherd vary over time. If you're thinking of drawing up a nutritional plan for your pet, you'll need to take into account your dog's particular needs, but you'll also need to consider the general needs of the breed. 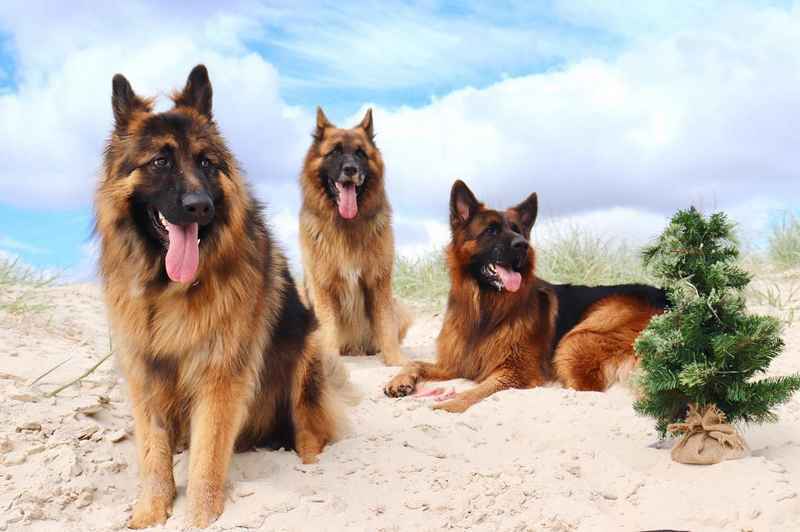 Large breeds will always require more exercise than small breeds; however, among large breeds, German Shepherds need less exercise than other dogs of similar size. They can maintain a healthy weight and activity level through daily walks and occasional running in a park. Puppies have plenty of energy, so what they need is a diet high in protein and calories. Although protein will always be essential, as your dog gets older it will be necessary to adapt its diet to avoid being overweight. When adjusting your dog's diet based on his activity level, keep in mind that it's the total calorie content that matters, not the volume of food. Feeding a dog based on the amount of exercise it does is not the right way to keep it healthy. If you think your dog eats too few or too many calories, consult your vet to help you develop an age-appropriate eating plan. 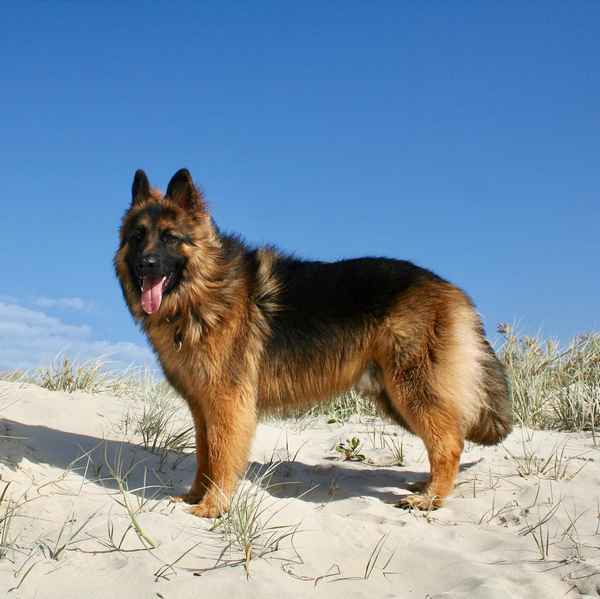 Regardless of your dog's age or activity, best dog food for German Shepherd require a high-protein diet. Proteins are essential in their lives as they provide energy and are necessary for the production of hormones. It is important that you consider the quality of proteins when choosing foods. As far as possible, make sure that your main source of protein is of animal origin. Since this is a field breed, the German Shepherd's double coat helps to protect the offspring from external agents. The last coat may be smooth or slightly wavy. It comes off throughout the year but is most abundant in spring and autumn when you change your whole coat. Regular brushing can help you maintain control of excessive hair loss. Although it is not easy to know the reasons for excessive hair loss, it is very likely that if the hair has a different texture or if your dog scratches excessively, the diet may be responsible. The fat and natural oils that come from your dog's diet is what helps his skin and coat to stay clean and healthy. Dogs with a very low fat diet often have many skin problems. Choose foods rich in omega fatty acids and vitamin E to help maintain the quality and health of the coat. The German Shepherd has an average life expectancy of 10 to 13 years. They are prone to certain health problems such as allergies, Cushing's disease, hyperthyroidism or epilepsy. Because it is a large breed, arthritis and hip dysplasia are also common. These two diseases cannot be prevented or cured, but they can be managed through a diet with adequate levels of glucosamine and chondroitin. They can also be boosted by weight gain. In fact, with only a few kilos of overweight the German Shepherd can suffer from joint diseases and experience greater discomfort. That is why it is important that you always check your calorie intake. The specific needs of each German Shepherd vary depending on their age, level of physical activity and health. In general the breed needs a diet high in protein and vitamins A, D, E and K. To absorb these nutrients requires also healthy fats such as Omega-3 and Omega-6. 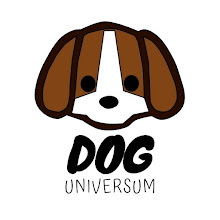 Because it is considered a large breed, the diet of this dog should promote joint health so that it does not suffer joint problems throughout his life.